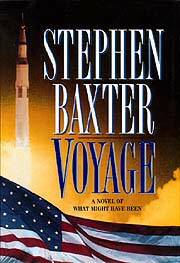 Baxter, Stephen. 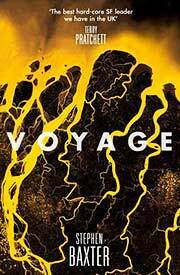 Voyage . HarperPrism 1997. Baxter, Stephen. Voyage . Translated to the German as Mission Ares . Heyne 1997. Baxter, Stephen. Voyage . Translated to the French as Voyage , J'ai lu 1999 (vol. 1). Baxter, Stephen. Voyage . HarperCollins 2015. What if: Although badly wounded and out of office since 1964, John F. Kennedy was alive in 1969 to see the first moon landing. Summary: Kennedy's urging prompts the Nixon administration to direct NASA's next efforts toward a Mars landing, which take place in 1986. Series note: The Baxter and Bradshaw's story "Prospero One" is also set in this timeline. Published: HarperCollins UK 1996 (0002246163); HarperPrism 1997 (0061052582BUY); HarperCollins/Voyager 1997 (0006480373BUY); HarperPaperbacks 1997 (0061057088BUY); and Harper/Voyager 2015 (0008134510BUY). Translation: French by Guy Abadia as Voyage , J'ai lu 1999 (vol. 1, 2277260150; vol. 2, 2277260169), 2003 (vol. 1, 2290325414; vol. 2, 2290325422). Translation: German as Mission Ares , Heyne 1998 (3453148681). 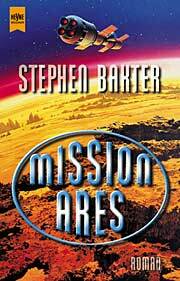 Awards: Winner: 1996 Sidewise Award for best long-form alternate history. Nominee: 1997 Arthur C. Clarke Award. Baxter, Stephen, and Simon Bradshaw. "Prospero One"
Summary: The single flight of Britain's very brief space program. 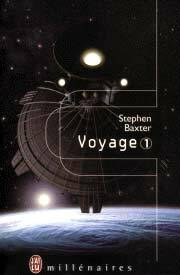 Series note: Set in the same timeline as Baxter's Voyage . Published: In Interzone #112 (October 1996).